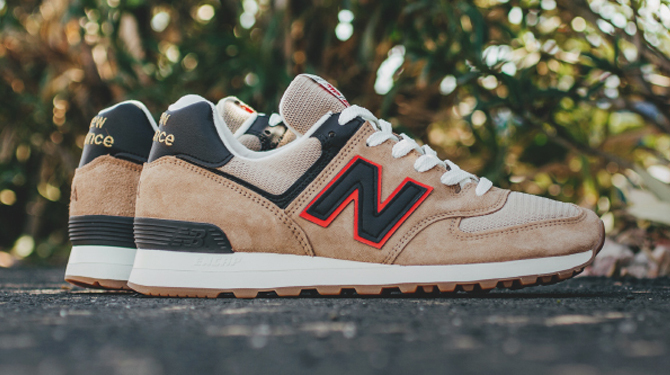 The Made in USA 574 pops up again for a new collection. 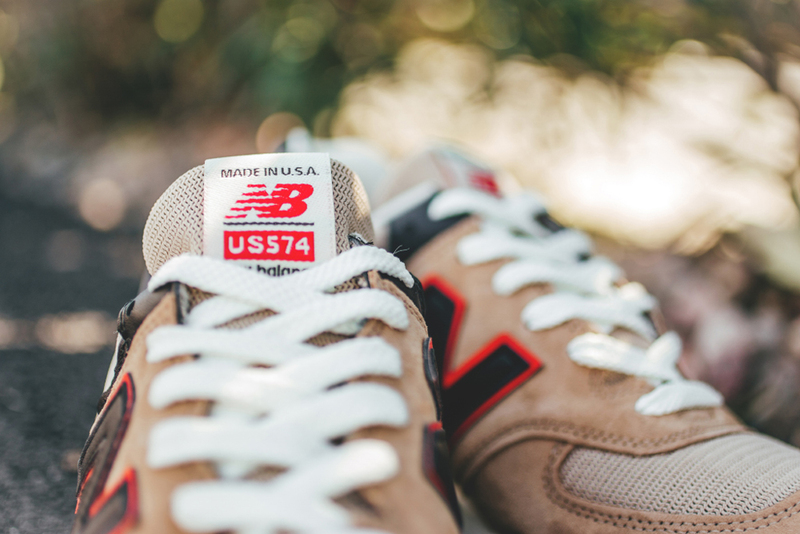 The New Balance 574 is used to being more of a budget model in comparison to New Balance's lifestyle offerings of the Made in USA persuasion. 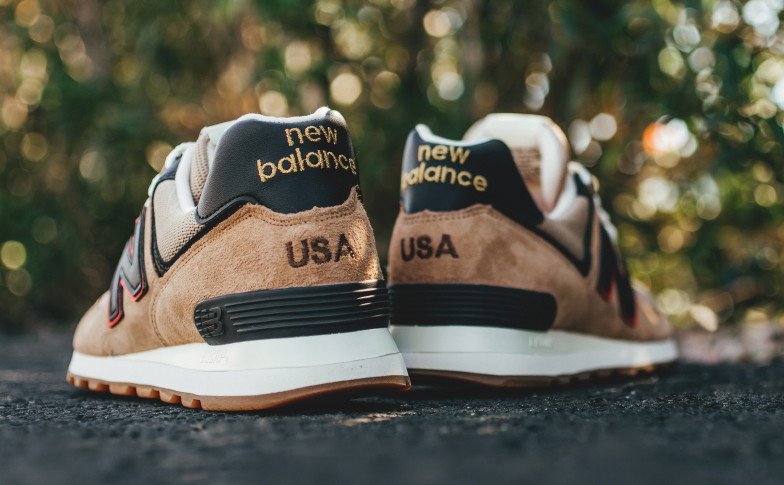 Every once in a while though, New Balance will move the silhouette up into a more premium range and tap the Made in USA version of the shoe. 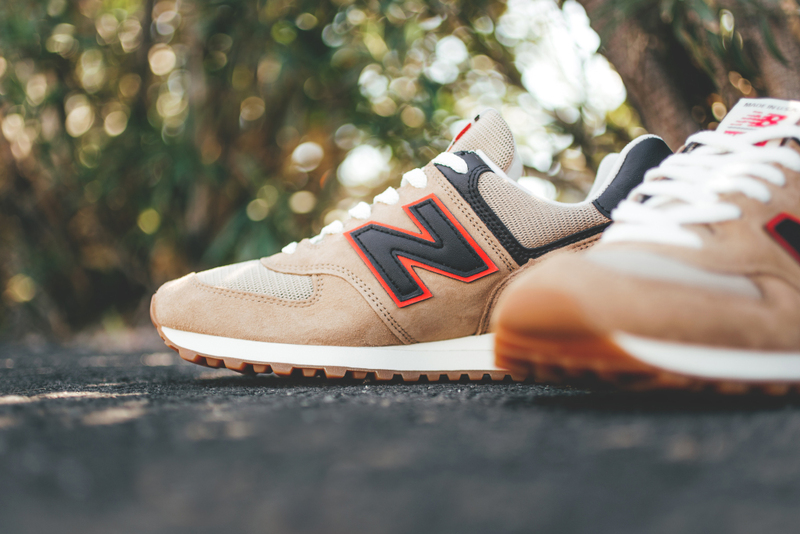 That's happened again with this pair, which arrives as part of the "Connoisseur Guitar" pack that features colorways inspired by instruments. The brand hasn't gone as far as to give each pair a nickname, so the musical among our readers will have to call out the specific guitar that this one might be connected to in the comments. 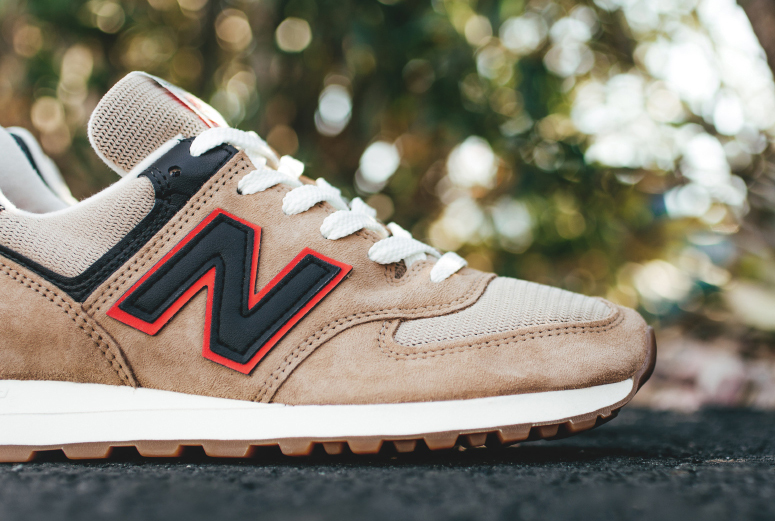 This pair of New Balance 574s is available now from Feature Sneaker Boutique.